What are the different types of trailer brakes? What are the different types of trailer brake controllers? How do I choose a brake controller? How do I take care of my trailer's brakes? No matter how fast they are traveling, it takes a lot of power to bring the massive weight of a tow vehicle and the trailer that it is towing to a dead stop, and in many cases, it requires more than just the tow vehicle's brakes. In this chapter, we will discuss the two major types of trailer brakes: surge brakes and electric brakes. We will also cover the different types of trailer brake controllers, breakaway kits and how to properly care for your trailer's brakes. Surge brakes are a self-contained, hydraulic braking system that uses the trailer's own weight and momentum to actuate the brakes. Unlike electric trailer brakes, they do not require a trailer brake controller or even an electrical connection to the tow vehicle. In a surge brake system, when you step on your vehicle's brakes and slow down, the trailer pushes against the connection and compresses a hydraulic cylinder. This compression transfers pressure to the trailer brakes to help stop the trailer. When they are adjusted properly, surge brakes are easy to work with and make smooth stops. They require no additional effort from the driver while towing. The downside, however, is that surge brakes cannot be directly controlled by the driver, as is the case with some electric brakes. Towing Tip: Towing a trailer can take a heavy toll on both your vehicle’s brakes and your trailer’s brakes. The more you can ease on the brakes and use the engine to help you slow down, the longer your brakes will last. Electric trailer brakes use electrical power from the tow vehicle to actuate electromagnetic brake drums. Unlike surge brakes, electric trailer brakes make an electrical connection to the tow vehicle. This allows for more "programmable" brake operation and gives the driver the ability to activate the trailer brakes at will, if needed. In order to tow a trailer with electric brakes, the tow vehicle needs to be equipped with a brake controller. A trailer brake controller unit is a small electronic device that regulates and actuates the electric brakes of a trailer and allows the driver to activate and monitor trailer brake activity from the cab of the vehicle. This requires an electrical connection between the vehicle and the trailer brakes. A brake controller mounts in the cab of the vehicle and generally has a few different controls. It may have a sliding button or wheel to adjust sensitivity and gain, and most have a second sliding button to allow activation of the trailer brakes without stepping on the brake pedal. This allows the driver to have more control over the trailer, especially in a situation with trailer sway. There are two basic types of brake controllers: time-based and inertia-based or proportional. Each type is classified by the method of activation the brake controller uses. 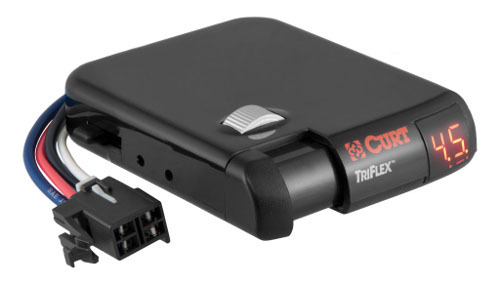 To see a complete selection of CURT trailer brake controllers, visit our brake controllers page. An inertia-based or proportional brake controller uses an electrical component called an accelerometer to sense the inertia of the tow vehicle. When the driver applies the brake pedal, the inertia-based brake controller will apply power to the trailer brakes in proportion to the vehicle's momentum. Inertia-based brake controllers generally allow for smoother stops and more efficient braking, compared to time-based brake controllers. This is especially apparent when braking on a hill. Whether driving up or down a hill, the inertia-based brake controller is able to sense the change in momentum and apply brake power accordingly. If the tow vehicle and trailer are traveling on an incline, less power is needed to brake. If they are traveling on a decline, more power is required. A time-based brake controller activates the trailer brakes as soon as the driver steps on the brake pedal and applies pressure over time based on the gain setting set by the driver. Though they are very effective and simple to use, time-based brake controllers are generally not as precise as inertia-based brake controllers. There are several factors to consider when selecting a brake controller. The following question will help you determine which is the best fit for your vehicle-trailer combination. If you are planning to tow livestock, construction materials or other heavy or fragile cargo, an inertia-based brake controller is ideal. Inertia-based controls perform much smoother stops, resulting in less stress on the cargo and on your vehicle. For the long-term benefits, an inertia-based brake controller is worth the small difference in cost compared to a time-based unit. If you are planning to tow a relatively light trailer, such as a popup camper or pontoon boat, a time-based brake controller may be sufficient. Time-based controls are more budget-friendly and perform very well with lightweight loads. 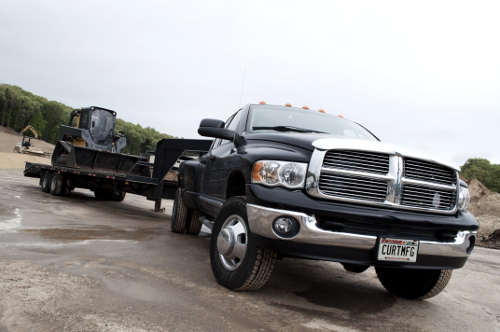 How often will you be towing? If you are planning to tow frequently or commercially, it is recommended that you use an inertia-based brake controller. Inertia-based controls use accelerometer technology to sense changes in momentum and respond with the utmost accuracy. If you tow only a few times a year, a time-based brake controller may be enough to meet your needs. However, because inertia-based brake controllers are not drastically different in price, you may want to consider the investment for the added sensitivity and smoothness in braking. No matter which brake controller you choose for your vehicle, you will need to connect it to your vehicle's wiring system. A vehicle-specific brake controller harness from CURT easily plugs into an OEM socket on your vehicle, using something called a quick plug. 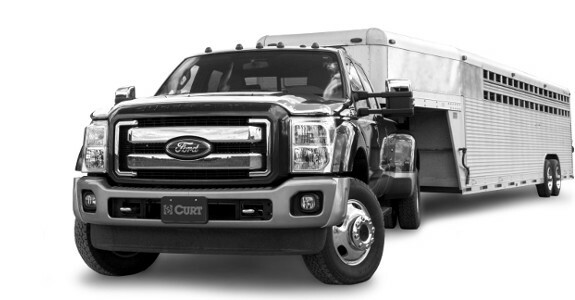 A quick plug allows for easy installation and a custom fit, and all CURT brake controllers are quick plug equipped. Though quick plug harnesses are available for a wide variety of vehicles, offering plug-and-play convenience, some vehicles may require a splice-in connection. To find a compatible brake controller harness for your specific vehicle, use the CURT Select Your Vehicle tool on our brake controller page. Quick plug harnesses typically install in less than ten minutes, and they come with 24" of wire protected by a slit-loom sleeve. 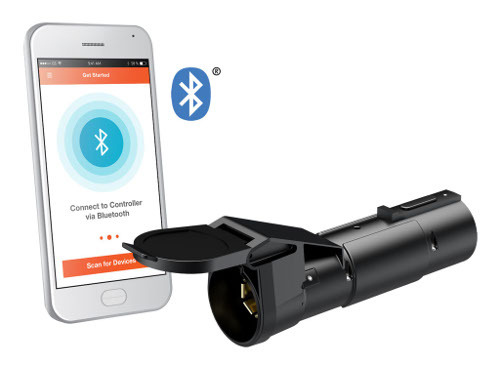 For a complete wireless and mobile brake controller option, the Echo™ mobile trailer brake controller #51180 is a Bluetooth-enabled brake controller that syncs up to your smartphone and uses it as the brake controller interface. The device simply plugs in between the vehicle-trailer 7-way RV blade connection and is ready to tow in minutes. The Echo™ mobile trailer brake controller is compatible with most Android and Apple devices, using the downloadable Smart Control™ app. It is highly portable between vehicles and is able to store multiple vehicle and trailer profiles to eliminate setup requirements. Many larger trailers are required by law to use a breakaway system. 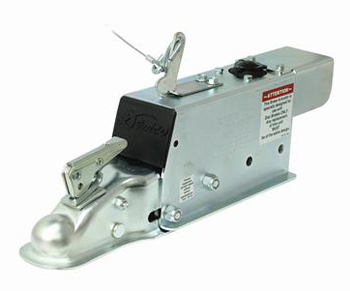 A breakaway system is a safety device that works with your trailer brakes to protect you and the vehicles around you in the event that your trailer becomes disconnected from your vehicle. A disconnect can be unpredictable and highly dangerous, and a breakaway system is designed to deter damage and injury. A breakaway system is made up of a battery on your trailer and a switch connected to a cable. One end of the cable attaches to your trailer, while the other end attaches to your vehicle. 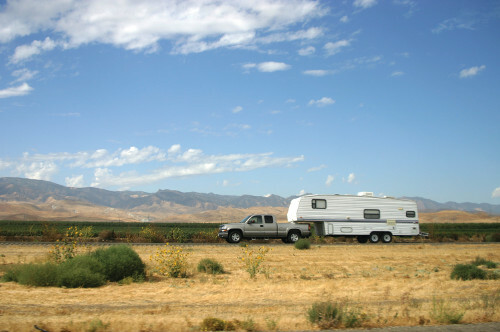 If the connection between your vehicle and trailer fails, the trailer will pull the cable as it breaks free. The switch will actuate the battery and firmly apply the trailer brakes to slow the trailer. If your trailer has a breakaway system, maintenance is simple. Check the breakaway battery regularly to make sure it is charged (many high-quality systems include a charger), and check the breakaway cable to make sure it is in good condition. Always securely connect the breakaway cable to your vehicle. You can test the breakaway system by pulling the cable. 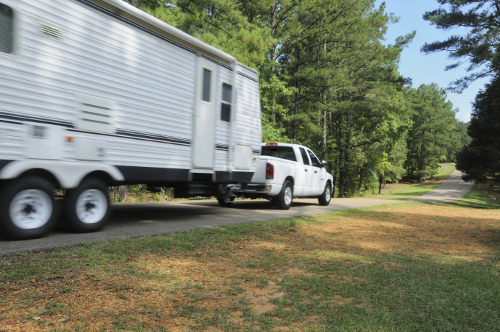 Your trailer brakes should immediately activate and lock up the tires. To disengage the breakaway, simply replace the cable in the switch. 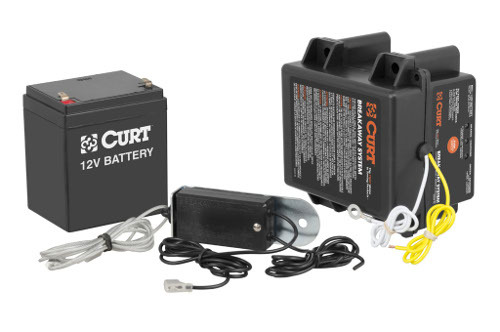 To see a selection of CURT breakaway systems, visit our breakaway systems page. Like any other brakes, trailer brakes require regular service. The heavier the loads you tow, the more frequently you should inspect and adjust your trailer brakes. Because trailer brakes are almost always drum brakes, you generally have to use a flat screwdriver or brake adjustment tool to perform the adjustment. Follow the trailer manufacturer's instructions. Most brakes use a "star wheel" adjuster and will require you to tighten the brakes until the wheel does not turn, then to back off slightly until the wheel turns freely. Over time, you may need to replace the electromagnets or replace the brake shoes and drums. If you are not confident of your ability to inspect and adjust your brakes properly, you can take your trailer to a professional. Towing Tip: If you have a trailer shop adjust your brakes, have them lubricate your wheel bearings, check your wheel nuts and inspect your tires and valve stems at the same time. Now that you have a clear understanding of trailer brakes and trailer brake controllers, we will move onto hooking up your trailer.